New Jumbo financing options continue to gain popularity for luxury home buyers across Alabama. Qualified home buyers in Birmingham, Montgomery, Mobile, Huntsville, etc, have new financing options up to 95%. The basic conforming loan limits in Alabama are currently set at $484,350 – any amount over this would be considered a “Jumbo” loan. In the past, jumbo mortgages typically required a minimum 20% down payment from most lenders. However, new 10% and 5% options have emerged that allow high balance financing with little down. Below we will review things that applicants should know before applying. Please call us at the number above, or just submit the Request Contact form to learn more. All properties MUST be owner-occupied, or vacation homes. Financing options for investor/rental properties are available, but require a min 15% down payment. All the jumbo programs are fully “documented” loans. Borrowers will need to be able to properly verify income and assets. Buyers will need to document mortgage payment “reserves” after closing. This is the amount of assets or savings that remain after the buyers down payment and closing costs are paid. The amount of reserves will depend on the loan amount, credit, etc. 95% financing programs typically require a min of 3-6 months of reserves. Non-liquid retirement accounts often satisfy these requirements. All programs have the availability of 30 yr, 15 yr fix rates, or adjustable interest rate (ARM) terms. The terms are fully amortized with principal and interest. 10% down jumbo options are available for loan amounts up to $2.5mil. The minimum credit score is 670, unless the loan amount exceeds $2mil, in this case, the requirements increase to 720. All other requirements listed above also apply. Contact to learn about 80% and 85% options and loan amounts over 3mil. The programs listed above apply to both standard purchase and rate-term refinance. Cash out refinance is limited to 90% for qualified homeowners. Read more about all the jumbo loan programs here. Programs are available in all 50 states for both purchase and Jumbo refinance. 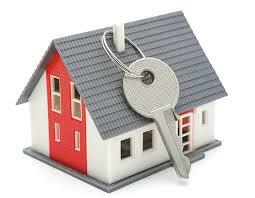 Qualified Veterans can also read about special VA Jumbo mortgages here. Serving all of Alabama including Birmingham, Jefferson County, Montgomery, Mobile, Huntsville.